Late to this party but I get pissed when I see it and it doesn't even come close to my car. And it doesn't have to be smoldering either. You wanna smoke I don't care, but take care of the butts. I keep dreaming of sitting at a light and watching someone throw one out the window. Getting out and picking it up and returning it with a "Hey, noticed you dropped this." Bad luck would be the person would shoot me worrying about road rage though. You are perhaps correct that this might be a topic for another thread but I’ll stick my neck out a bit now. I have owned SM’s for about the last 18-20 years. I still have two that are now 11 and 13. 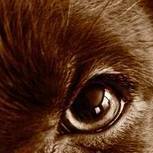 They have provided a lot of enjoyment over the years and as any dog, some frustrations also. 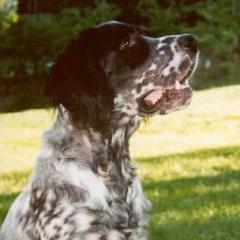 I have hunted these dogs on most upland birds and have trained in a limited German venue (HZP) and through the NAVHDA program NA, UT and took one to the Invitational. I agree with SLR that on the average....and I’ve been around a lot of them... that their point is one of their weakest traits. As a versatile breed that multi task it should be a focus for the American breeder to focus on strengthening that trait of pointing over other versatile traits they should want to accommodate the buyers that purchase the breed for the pointing part of the breed. I don’t see SM breeders ( for the most part) doing that. It seems that the crazy prices... $1500-$2500 per pup seems to have most breeders focused on reproduction rather than pointing genetics/traits. IMO, why at times breed topics get testy with some is that there is a big difference between marketing and what you actually will get after the purchase. The SM is a fun breed and people seem to enjoy them. Just be sure your expectations match your breed. Thermacell--perhaps the Best invention ever for the outdoors! We use them on the patio every night from Spring through late fall. Awesome! I've been around a few, and all of them had a very weak pointing instinct. I saw one run in a NAVHDA NA test and she would sit when she went on point. Wasn't really a point, and I think that she was hit pretty hard on her score because of the fact. A friend has one and I helped him last year prepare his dog for the NA test. It took a bit to get him to even point at all. In fact, when he would scent birds, he would just attempt to pounce on them. We were able to get him to steady up through some various training exercises. He finally got to where he would hold a point long enough to declare a point in the test. He is probably a better retriever than anything else. 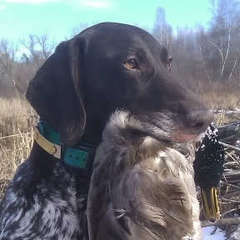 Fortunately his owner is a pretty serious duck hunter, so he doesn't mind his soft pointing too bad. He does have decent prey drive. Beautiful dog, but I personally wouldn't own one. 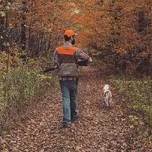 Mainly because I hunt chukars and Huns more than anything else, and his dog would not be a good fit for me. I am hesitant to even say what I have said here, but this has been my limited experience with them. Wood duck houses are a great project to do with boy scouts. Alex is one of my all-time favorite Gopher blue liners. Last time I shot with you I thought you had a nice semi auto and I hope your catching a big supply of crabs 🦀. 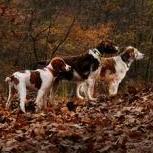 I think the Brittany was the dog originally used to put more point in the breed. Probably a topic for another thread, but, why is hard to love a breed for what it is? With so many breeds in existence, anyone should be able to find a dog that suits their need. The desire to "fix" what isn't truly broken is disturbing. Not to complain, but where's the dang puppy pics B-B?? Pens looked old and fairly uninterested and a couple after the last game actually said "They wanted it more." Not "outworked us" as is the standard answer when you get beat in hockey, but actually said "they wanted it more". At this point, with all the talent the Pens have, any team that will play 'buttoned up' for 60 minutes will eventually be able to take advantage of Penguins mistakes. It doesn't show up so much in regular season but in the playoffs? They get antsy, Letang being the biggest culprit. Malkin right behind him. Eventually they will make a boneheaded play expecting that they are better than the other guy. Letang might be the most frustrating player I have ever seen. Edit: Kessel can be frustrating too, but you know what you are getting with him. When he's on he can carry a team, when he's off you don't even want to see him on the ice. This will be interesting to see how this team looks next year. I believe they are saddled with a few of these guys as it's not like the other GM's haven't seen these deficiencies as well. Went on the site, its a scam .They take your information, then it times out. I called the real Keen customer support, they were trying to get the site closed down. Had to change my debit account. Randall Knives - Why do people pay so much ? Wow this Randall Knife thread has gone in a different direction. Just goes to show you the interesting places our sporting collectibles take us. I saw Boston play Oakland a couple weeks ago. They seemed to lack last years spark, and the A’s took 3 of 4 games. But there’s too much talent on that team for them not to return to their 2018 form. The Houston Astros are in town, and man do they look good. If I were to bet on who wins it all this year, my money would be on them. They are rock solid at every position. I hunted behind one on quail this last year. Never gave a solid point, but excellent tracking and retriever skills. As a niche breed they are quite expensive, otherwise I'd consider one for myself. That's it. I'm not following them for awhile. For my own sanity. I've always been a fair weather fan anyhow. Got sucked in last season. I'll wait until they start acting like professional WS winning athletes. Boston/New England fans are the most brutal. Things are going to get testy at the ball park. I do not own anything of historical significance. But I muzzleloader hunted with a guy in OH that was using a .69 caliber rifle that had been through I believe the Civil War. It was a family gun that had been passed down since then. I only asked because the bore looked awfully large and the rest of us were shooting the now fairly standard .50 caliber. Not to go against my post and get off topic of the play-offs, but Ovi is a different player and human being than when the Gonchar episode happened. As far as Malkin goes, there is something weird about Russians. Malkin and Kuznetsov have had some run ins as well. Also, if you can believe me, I really enjoyed watching the Pens go down, but the world would be a little empty if they were not good and the hated rival. I hope they bounce back and if history proves itself about the franchise, they will. What levels of stim on Garmin Alpha do you use? Got it. In that case there are a few things to check. 1. Is the collar delivering consistent levels of stim? at the points. Not a common issue but I have a delta that never did, confirmed testing it on my arm, there was significant variation from one press of the button to another on the same setting. 2. Is the dog getting consistent levels of stim? My female bloodhound is hard to get a collar set up on correctly due to the loose skin. Took her out this morning and at one point hit her with a level that should not get any pain response but should get a stop what your doing and come to me response. I could tell she got something but did not get a normal response. Turned it up to the level that will get a small yelp and an immediate run to me, same thing on two attempts. Next attempt got exact response expected. Inspected the collar on her and a big skin wrinkle was preventing consistent contact from one point. This caused the variable response. Beyond that different dogs are different in what they require. I also think of three behavior modes, "normal", "intense distraction", and "seeing red." These might require different stim levels and might not. Most of my dogs have done great at very low levels in nearly all situations (something along the lines of 2/10 "normal", 4/10 "intense distraction", 6/10 "seeing red"). My male bloodhound though was different (he did not have the looser skin and point issue the female did). Low was still fine in "normal mode" but in "intense distraction mode" which was usually finding a VERY interesting scent trail that he was determined to follow it would take a pretty darn high level (7 out of 10 or so) to get his brain off that one key objective. I dont recall him ever in that "seeing red mode". So in general 2/10 was nearly always good for yard work, field was a combo of 2 & 4, 6 was to stop them charging at a rabbit toward the highway or to break up a dog fight. Waylon was an exception though. Disclosure: I am not an expert just sharing my limited experience using an e-collar on 5 different dogs. Don't worry - I have PLENTY of lousy shots. I often shoot the little RX100V at 24 fps when trying to capture action, so it's not hard to get hundreds of frames from one outing. I sift through all of those to try to find a good one. I am VERY ruthless at trashing anything that is less than perfect.